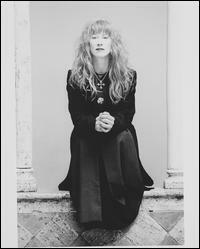 Loreena McKennitt is a Canadian singer/harpist/pianist and is my favourite female vocalist. I was first introduced to her by a Loyola Highschool student drama production called Ancient Flames. It was an original student play about witch burnings and utilized a number of Loreena McKennitt songs. Most notably "Huron `Beltane' Fire Dance". 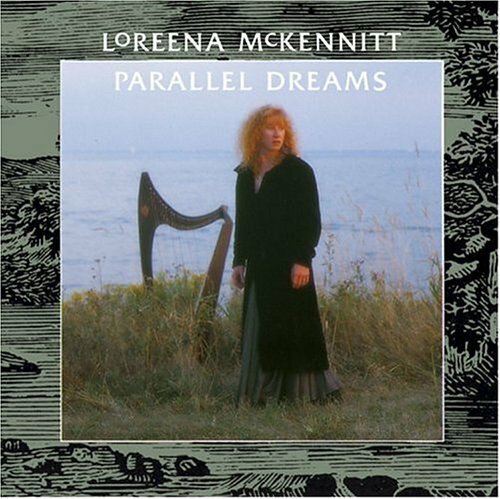 And this song is featured on "Parallel Dreams" Loreena's third album, which I'll be reviewing today. And the music is a clear reflection of just that. The album begins with "Samain Night" which is a haunting piece with chilling melodic vocals and beautiful harp work (Loreena's signature instrument). "Breaking The Silence", "Moon Cradle" and "Annachie Gordon" all feature narrative style poetic lyrics, beautiful harp playing and haunting vocals. "Moon Cradle" is bard like and a bit lullaby-ish. "Breaking The Silence" is atmospheric and was written as a tribute to Amnesty International. "Annachie Gordon" is a tale of love denied an just reeks of longing and sadness. "Dicken's Dublin (The Palace)" is a unique piece which features a radio recording of an Irish child describing the birth of Jesus. The song itself is a bout a street girl longing for a home and features nice piano and guitar work. "Standing Stones" is a pop like song without being pop. The song features powerfully chilling melody by Uillean pipes which screams of anguish and longing. The piano and harp are a nice mix that lead into a very catchy sing a long chorus (which gives the song a pop feel). My favourite song would have to be the afore mentioned "Huron `Beltane' Fire Dance" which is an instrumental piece that features haunting vocal melodies with a very celticy feel, before the percussion takes over and builds into a fiery rhythm of violins, cellos, guitars, percussions and more and blazes through the rest of the song. I'd love to see the person who can sit through this song without moving. The music demands motion and one cannot help but dance. Though this is not my favourite Loreena McKennitt album is certainly one her best and as the liner notes say, you cannot listen to this album without being moved by the emotional impact and passion that's magically entwined in Loreena's music. It's truly an album that dreams are made of. Up next I'll be featuring another powerful female vocalist, Lisa Gerrard, who is one half of Dead Can Dance. This is not the first time I've explored DCD, but I feel now is an appropriate time to visit more of their albums as I continue in my non-metal "surprising" musical tastes. WHere's the blood, the gore, the viper-spitting skulls of fire??? 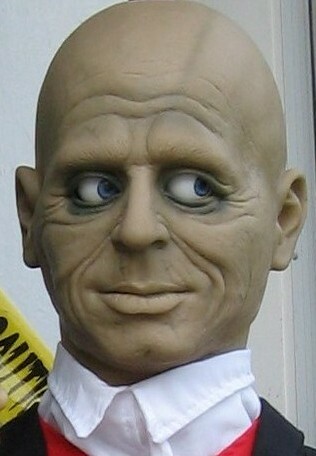 ?Is this evidence that you are getting old!? You'll be liking classical music next and Morris dancing, or slapping your thighs and wearing lederhosen! Check out this female vocalist (before it's too late!) she sings (or sang) in a band called Still Breathing and her name is Dacy Lee Bunton (I think these details are correct but I will go away and check). 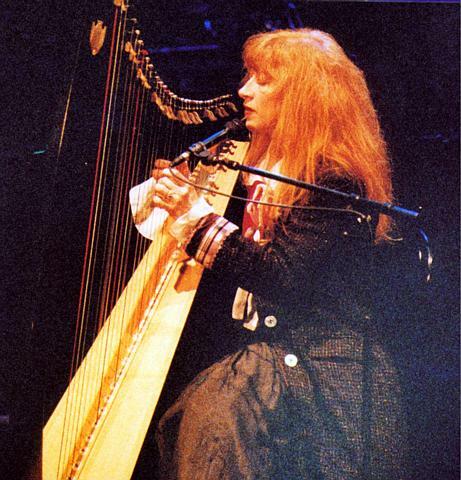 Harps, indeed! you did a great job in the road trip. i saw the video and it was just nicely done..thank you for being such a sweetie of a brother..